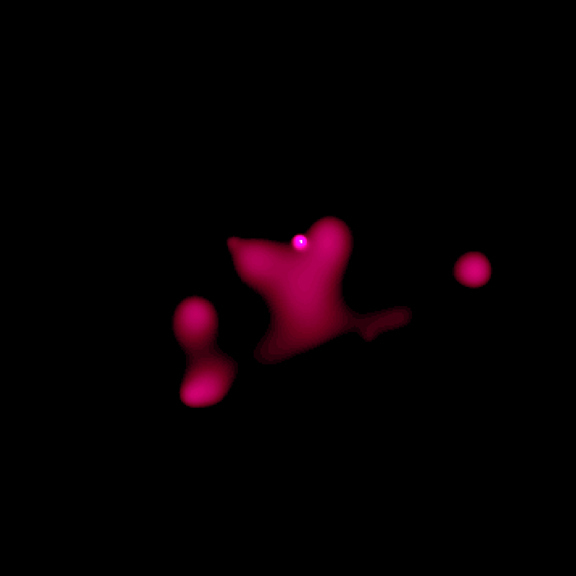 This Chandra image of the young star cluster NGC 346 highlights a heart-shaped cloud of 8 million-degree Celsius gas in the central region. Evidence from radio, optical and ultraviolet telescopes suggests that the hot cloud, which is about 100 light years across, is the remnant of a supernova explosion that occurred thousands of years ago. 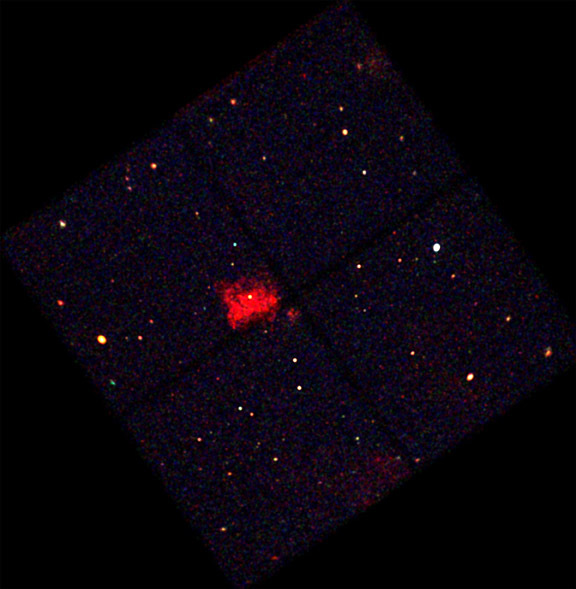 The progenitor could have been a companion of the massive young star that is responsible for the bright X-ray source at the top center of the image. This young star, HD 5980, one of the most massive known, has been observed to undergo dramatic eruptions during the last decade. An alternative model for the origin of the hot cloud is that eruptions of HD 5980 long ago produced the cloud of hot gas, in a manner similar to the gas cloud observed around the massive star Eta Carinae. Future observations will be needed to decide between the alternatives. Until then, the nature of the heart in the darkness will remain mysterious. Coordinates (J2000) RA 00h 59m 05.00s | Dec -72° 10´ 42.10"